If you are thinking of planning a wellness retreat in Bali, then you are not alone – it is the perfect destination to relax and unwind. What better way to let your hair down than indulge in the natural water features the island has to offer? 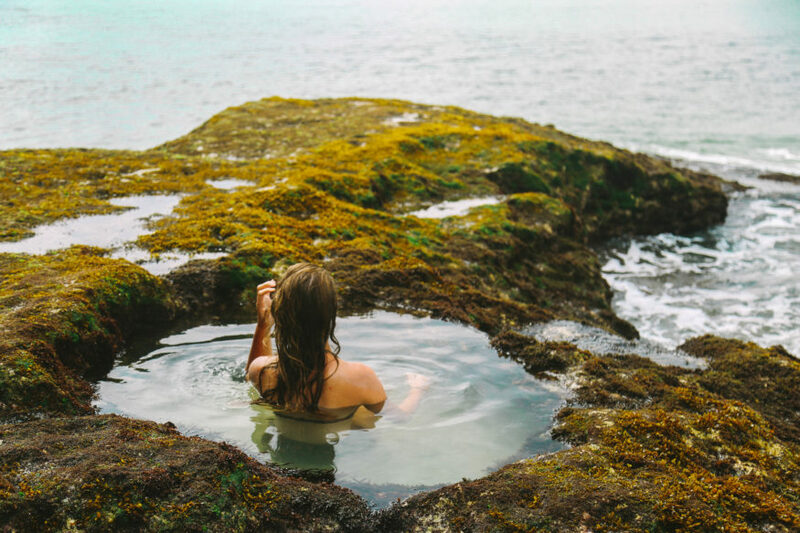 The natural pools and hot springs in Bali remain one of the islands closest-guarded secrets just waiting to be discovered. An amazing underground waterfall which, for the most part, remains unknown to tourists – although it is steadilty becoming more popular! With clear and cool water cascading from above to form one of the most captivating natural pools in Bali, this mystical destination is well worth traversing the steep steps which lead to it. The scenic trek there takes around twenty minutes from the main road and it is best to arrive as close to 8am as possible to see the morning sunlight streaming in from above. A rare gem combining natural beauty and tranquility, it is well worth exploring. 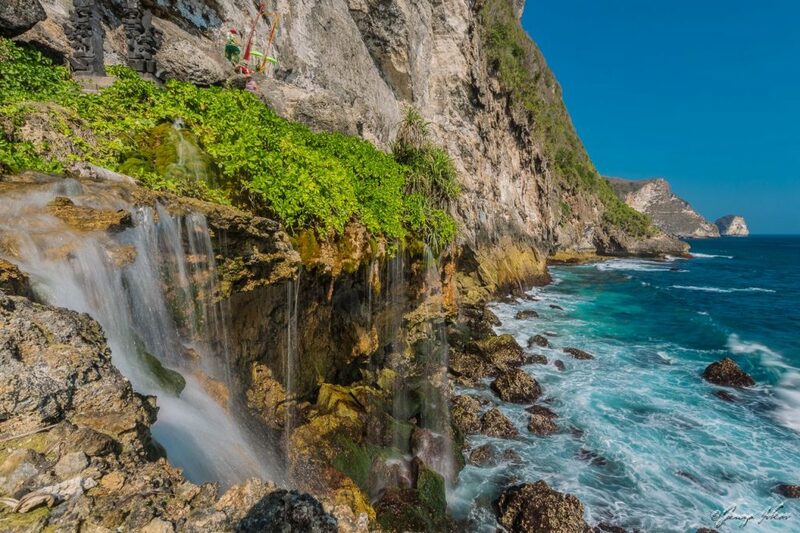 If you are looking for a day trip which combines breath-taking scenery with the natural pools in Bali, the Peguyangan Waterfall in Nusa Penida is a must-visit. Be warned that the waterfall itself is not superbly impressive during the dry season – however the infinity pool has unrivaled views of the surrounding ocean. Reaching these springs will involve embarking on a trek down the narrow stairs of the ravine which is not for the faint of heart. To find this hidden paradise, it is worth arranging a tour with one of the knowledgeable local operators in Penida. 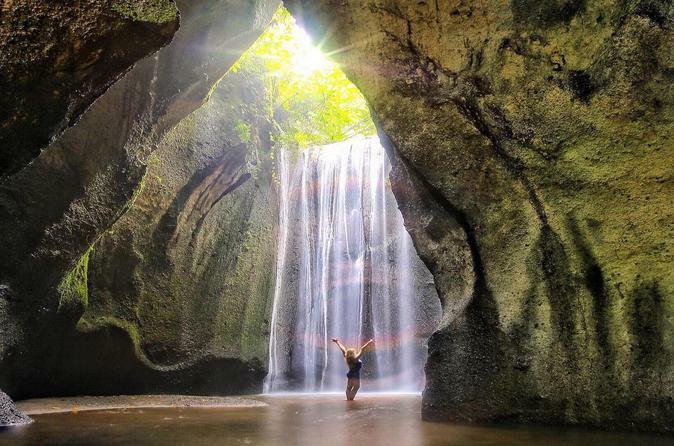 Location: Peduyangan Waterfall, Nusa Penida, 80771, Indonesia. Said to be the warmest of the hot springs in Bali, water from the deep within Earth’s crust seeps up to fill these luxurious natural pools, resulting in temperatures which reach up to 40 degrees Celcius. The waters are rich in minerals which are believed to have rejuvenating properties, so much so that locals still bathe in them before visiting the nearby Beji Temple. Located amidst picturesque rice paddies, the more adventurous can rent ATV bikes or hop on a jeep tour for a muddy excursion through the rural villages nearby before settling down in the warmest of Bali’s natural springs. What better way to relax than a natural infinity pool overlooking the ocean? 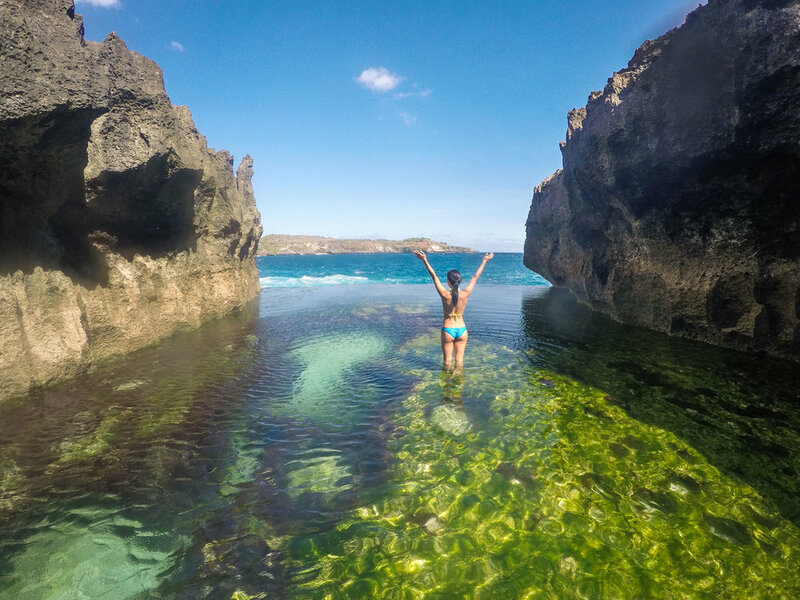 The Angel’s Billabong is surely among the most picturesque natural pools in Bali, with stunning crystal-clear waters and spectacular rock formations. 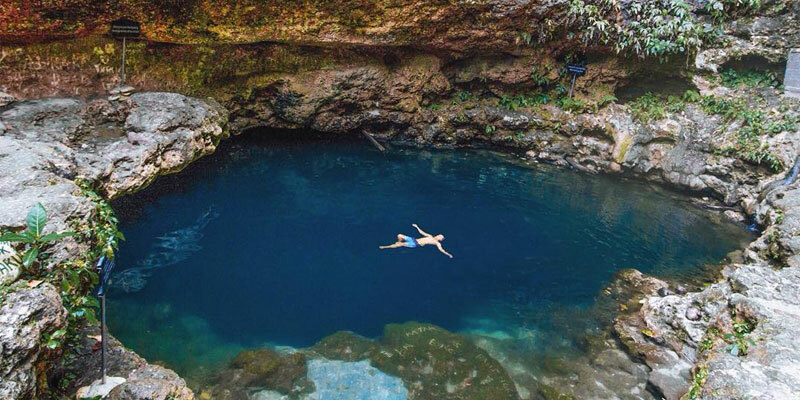 This heavenly lagoon is a once in a lifetime visit. Near to Broken beach (another must-see for it’s beautiful landscape), the hidden paradise is a perfect adventure for any wellness retreat in Bali, combining the beauty of nature with the tranquillity you are sure to find as you bathe amidst the emerald waters. Among the most sacred of the hot springs in Bali, the sulfuric water at Banjar is said to have healing and cleansing powers. Surrounded by lush jungle, it is one of the most popular spots for tourists and locals alike to indulge in a good cleanse. 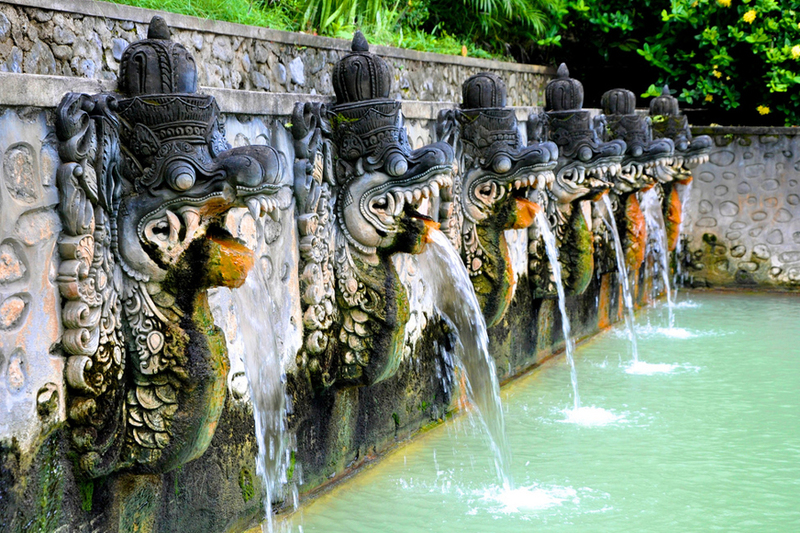 The water pours out of the mouths of stone-carved dragons into three different pools – it is said to cure skin disease among other ailments and will certainly clear your pores and put any aching muscles to rest. Enjoy a snack in the excellent café after admiring the surrounding gardens. Hidden near the village of Sambangan in the north is a little-known treat which has come to be known as the secret gardens. 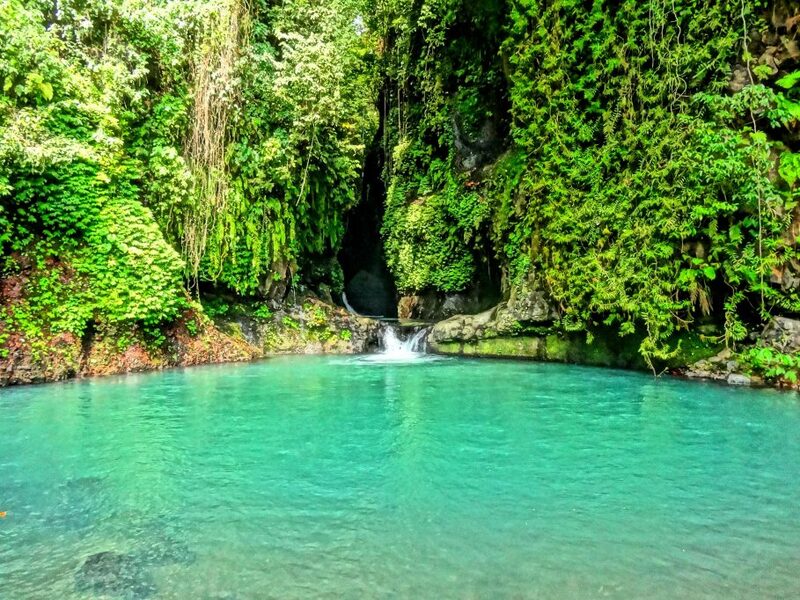 Amidst the lush jungle is a chain of some of the most idyllic natural pools in Bali, featuring stunning waterfalls and a dense abundance of flora and fauna. With a waterfall jump for the daring and a natural slide which younger kids can enjoy, the cool waters of the pool are the perfect place to take a dip on your relaxing retreat. A location which is unspoiled and remote, you won’t regret your visit to this secluded paradise. For those in search of peaceful isolation, look no further than the seclusion of Angseri Hot Springs. These secluded public baths hidden within the rice paddies of Tabanan are lesser known amongst tourists, so much so that half of the adventure is finding them. The milky green waters and beautiful waterfalls make for a relaxing and indulgent experience, which will be the icing on the cake of your wellness retreat in Bali. For a true local experience, visit on a Sunday to watch the locals splash amongst the baths and enjoy the local warungs nearby – or frequent the springs on a weekday, where you will more than likely be able to enjoy watching the Balinese farmers tend the fields in total solitude. 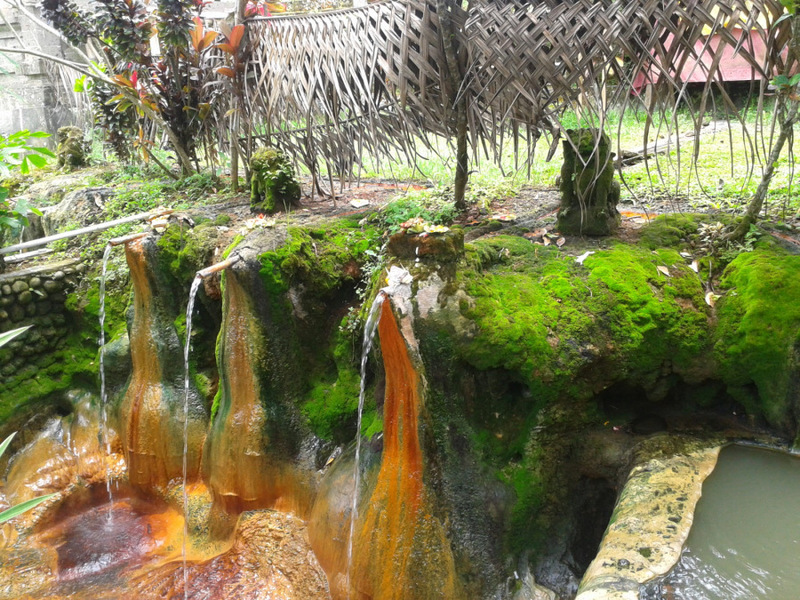 Location: Angseri Hot Springs, Desa Angseri, Kecamatan Baturiti, Tabanan. Legend has it that the two natural pools at Tembeling Beach were discovered by a pregnant woman chasing a cow, and they have since been used by locals as a source of drinking water. These days, the unique spot is more often frequented by travelers looking for a secluded place to have a dip – but don’t be put off. With luck, you will find yourself completely alone there! The magnificent turquoise hue of these waters comes from the limestone spring water, resulting in crystal clarity. The pools are of spiritual significance for locals; visitors are allowed to swim however they must abide by the rules – with separate pools for men and women. 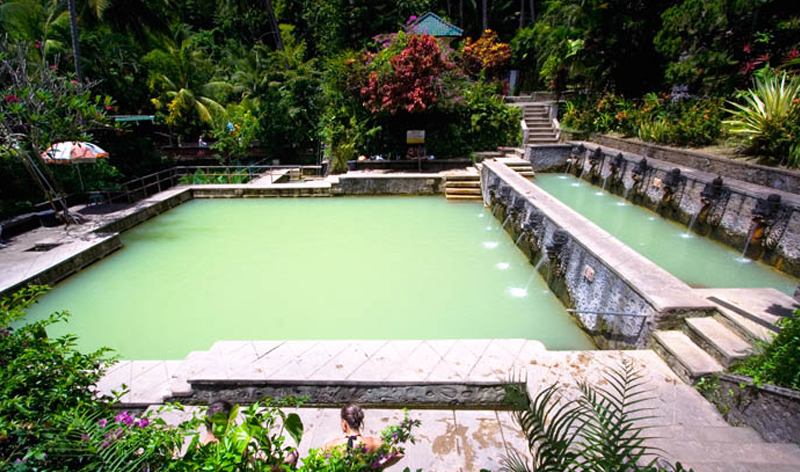 Another of the most relaxing hot springs in Bali, this riverside paradise fed from the water which flows from Mount Batukara is also said to boast of healing powers. The hot springs are located amongst the sprawling rice paddies near the sacred temple of Batukara and are sure to replenish your mind and body! With options to bathe in the main pool on the edge of the river or take a dip into one of the smaller surrounding pools on the hillside, these hot springs are the perfect place to experience natural luxury. 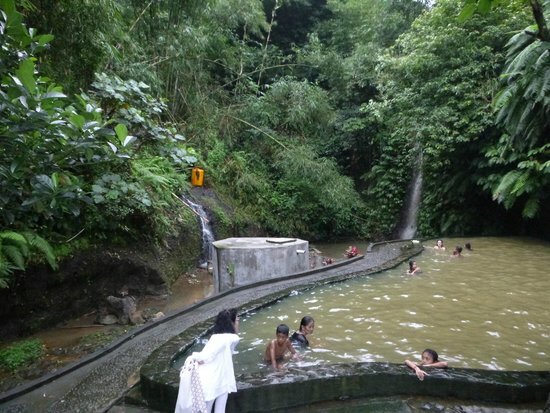 Location: Tabanan Hot Springs, Penatahan Village, Penebel – Tabanan Bali. Ever wanted to gaze upon the ocean from your own private jacuzzi sized pool? Wish granted! Although not as warm or peaceful as some of Bali’s natural springs, this is the perfect place to watch the waves crash towards you in perfect comfort. Large natural dips in the rock form these perfect beach-side pools filled with refreshing seawater, resulting in the perfect spot for a romantic smooch or picture opportunity. The beach boasts beautiful views and unmissable sunsets – a perfect way to start your evening. Are the infinity pools, waterfalls and hot springs in Bali are catching your eye? Check out these luxury villas and start planning your relaxing getaway now!